Nominated as one of the ten finalists in the inaugural UNCTAD/EMPRETEC International Women in Business Award 2008, Irene Bacchus-Holder began her business by doing pyrography on functional items such as jewellery boxes and kitchen wares. After being encouraged by her friends and family, Irene registered her business “Amazon Authentics” making household items out of wood. Amazon Authentics utilizes different types of Guyana’s beautiful tropical woods to create both decorative and functional original pieces in the form of scrolled and turned objects. The company uses recycled wood gathered from discarded pieces left by commercial loggers. 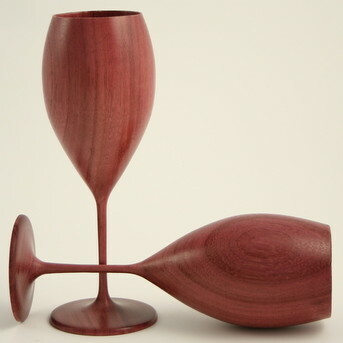 Species include woods such as Purpleheart, Crabwood, Wamana, Hububalli, and Simarupa to name a few. Each item is individually hand-finished and of high quality. Bowls are enhanced with pyrographic art and paintings or left in its natural colour and vessels are made of Purpleheart wood with Turquoise inlays. Items shown in their catalogue may be made in different species of wood depending on availability. Products include vases, candlesticks, a wide variety of bowls, pens & paperweights letter holders, business card boxes, trays, cutting boards, rolling pins, cups and plates.